The Clay County Fair announces Michael W. Smith with special guest We Are Messengers as part of the SRG Concert Series in the Sleep Number Grandstand at the 2019 Clay County Fair on Tuesday, September 10 at 7:30pm. “One of the most iconic contemporary Christian artists of all time coupled with one of the best of the up-and-coming artists will make for an unforgettable Family Night at the Fair,” said CCF Manager Jeremy Parsons. During a storied career spanning more than three decades, multi-Platinum artist and bestselling author Michael W. Smith has written 35 No. 1 singles and sold more than 15 million albums while accumulating numerous accolades, including three GRAMMY® Awards, 45 Dove Awards, an American Music Award and, most recently, induction into the Gospel Music Hall of Fame. Originally from Ireland, We Are Messengers saw their career explode with the release of their self-titled debut album in 2016. The album earned them their first Dove Award nomination for New Artist of the Year and included Top 5 hits “Everything Comes Alive,” “Magnify” and “Point to You.” Their new album, featuring the Top 10 single “Maybe It’s Ok,” is already a fan favorite. Tickets will go on sale Friday, March 15 at 10:00am. 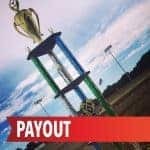 Prices are $35 (general admission stage front standing), $30 (reserved Grandstand seating), and $25 (general admission bleacher seating). Tickets will be available online at www.midwestix.com, by phone at 515-244-2771, or in person at the Events Center Box Office. There will be no additional fees applied to any of these purchase methods. The Clay County Fair announces a night with Foreigner as part of the SRG Concert Series in the Sleep Number Grandstand at the 2019 Clay County Fair on Saturday, September 7 at 7:30pm. With ten multi-platinum albums and sixteen Top 30 hits, Foreigner is universally hailed as one of the most popular rock acts in the world with a formidable musical arsenal that continues to propel sold-out tours and album sales, now exceeding 75 million. Responsible for some of rock and roll’s most enduring anthems including “Juke Box Hero,” “Cold As Ice,” “Hot Blooded,” the worldwide #1 hit “I Want To Know What Love Is,” and many more, Foreigner continues to rock the charts more than 40 years into the game with massive airplay and continued Billboard Top 200 album success. Tickets will go on sale Friday, February 1 at 10:00am. 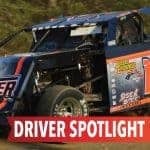 Prices are $43 (general admission stage front standing), $38 (reserved Grandstand seating), and $33 (general admission bleacher seating). Tickets will be available online at www.midwestix.com, by phone at 515-244-2771, or in person at the Events Center Box Office. There will be no additional fees applied to any of these purchase methods. Citing the need to provide a safer and more relevant Grandstand concert and event experience, the Clay County Fair has announced several changes for the 2019 Fair, September 7-15. 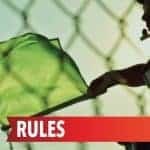 Bag checks will be implemented at all Grandstand events at the 2019 Fair, as well as some public events held throughout the year at the Clay County Regional Events Center. Parsons said that the bag checks, which will be conducted upon entrance into the Fair’s Grandstand, will be similar to the checks implemented at other concert venues and stadiums. 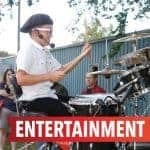 “We wanted to get the word out now so that as people plan their Grandstand ticket purchases and visits to the Fair, they can plan accordingly for the bag checks – allowing for extra time and making sure they do not carry in any prohibited items like alcohol,” he said. The Fair will also begin selling beer at selected Grandstand events at the 2019 Fair. While beer will be sold at selected Grandstand events, the Fair’s family friendly atmosphere will remain the same, according to Parsons. 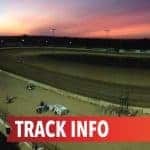 The first announcement for the 2019 Clay County Fair Grandstand schedule will be made next week with the entire line-up released through the spring. 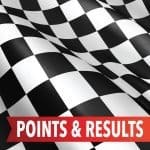 “These changes, along with some tweaks to our Grandstand schedule, will make for an exciting 2019 at the Fair,” he said. Clay County Fair families will save big at the 2019 Fair with free daily admission for all fairgoers age 12 and under. Adult admission for the 2019 Fair, which last increased in 2017, will remain the same. Nine days of warm sunny weather made the “The World’s Greatest County Fair” a perfect September get-away for thousands of fairgoers, September 8-16. Overall Fair attendance totaled 308,603. Complete daily attendance numbers can be found at www.claycountyfair.com. Changes to the Fair’s ticketing procedures, including digitally scanning some advance admission tickets in 2018, allowed the Fair to create a more accurate attendance reporting model replacing the former attendance estimates. 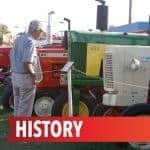 For the first time in recent Fair history, estimated daily attendance numbers were not released during the Fair in an attempt to provide a more accurate attendance number. More detailed information on the 2018 Clay County Fair will be made available at the Clay County Fair Association’s annual meeting on October 30. Lifetime memberships to the Fair Association are available for $100. Call (712) 580-3000 for more information. The Clay County Fair & Events Center is pleased to announce Home Free – A Country Christmas presented as part of the SRG Concert Series Saturday, December 15, 2018. The show, which will be held in the Clay County Regional Events Center, will begin at 7:30pm. Tickets are on sale. Prices are $48, $38, and $28 (reserved seating). A “Holiday Cheer” option that includes a pre-show party with unlimited food and drink is available for $20 (limited number available). Tickets will be available online at www.midwestix.com, by phone at 515-244-2771, or in person at the Events Center Box Office. Fairgoers to the 2018 Clay County Fair will want to take note of several changes that may affect their selected route and parking because of construction related to the City of Spencer’s 4th Avenue West CDBG Project, Phase II. Despite recent progress on the street and the paving of a majority of driveway approaches and sidewalks, 4th Avenue West will remain closed to through traffic during the Fair to protect the new improvements. Although the street will be closed, fairgoers will see very little disruption. The Fair tradition continues with Y100 Kid’s Day being celebrated on Friday, Sept. 14. Kids 18 and under are able to enter the Fair for free. A special Kid’s Day wristband (available only at the Fair) will be available as well. This wristband will include unlimited carnival rides for $23. In addition, the Fair will be partnering with Y100 for the chance to receive VIP wristbands at an even greater discount – free. Beginning August 22nd, listen to Y100 every Wednesday leading up to the Fair for a chance to win the wristband giveaway. 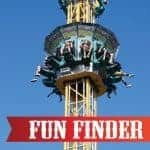 Besides free admission and a special wristband deal from GoldStar Amusements, there are many other kid-friendly activities scheduled for Sept. 14. The Dollipops is an engaging, high-energy, highly interactive kids’ show. The characters Dolli and Pop will have kids ready to sing, laugh, and dance with all of the interactions. These two sisters will have kids and their parents moving, making memories, and grooving. The event will take place in the Eurocast Events Center Ballroom at three different times: 11:00am, 1:00pm, and 3:00pm. Another Fair favorite — Muttin’ Bustin’ – moves from Tuesday to Friday to create new excitement for young cowboys. Two rounds will be held at 2:00pm and 4:00pm in the Indoor Arena. Upon arrival, kids and parents will need to sign up to participate. Another popular event is the Kids Pedal Pull located at Grandpa’s Barn (location change from 2017) and will take place at 5:00pm. Registration will also be accepted at the time of the event. Fun for everyone is always the focus at the Clay County Fair, September 8-16. 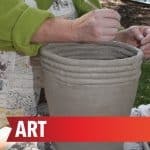 The Clay County Fair will once again join Arts on Grand for fairgoers to enjoy fun activities and unique items at the Art Barn during the 2018 Fair. Fair attendees will be able to view working art demonstrations, participate in marking art, and even purchasing outstanding items. Each day, the Art Barn will host performers on the Art Barn Stage at 1:00pm. Performers scheduled include Stephan Baker (Saturday, Sept. 8), Greg Davis (Sunday, Sept. 9), Robert Johnson (Monday, Sept. 10), Becky Boyer (Wednesday, Sept. 12), Jim and Jessie Howard of The Jessie James Band (Thursday, Sept. 13), Stephen Baker and Friends (Friday, Sept. 14), and Duane Davis (Saturday, Sept. 15). The new Grandpa’s Barn includes almost double the space for families to enjoy and develop and appreciation for everything related to Iowa’s leading industry – agriculture. Baby animals, tractor cab simulators presented by Clay County Farm Bureau, and a milking parlor sponsored by MaxYield will educate fairgoers of all ages. 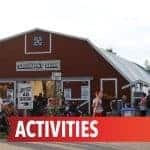 The Sundholm Log Cabin will bring fun educational opportunities to the Fair with hands on activities, live animals, and more. Naturalist programs will be held daily at 10:00am and 2:00pm with activities involving, bison, black bears, minnows, owls, and more. There will be a live bald eagle on Monday, Sept. 10 and Friday, Sept. 14 at 11:00am, and 1:00pm. The Great Plains Zoomobile will also be at the Fair on Sunday, Sept. 9 and Saturday, Sept. 14 at 2:00pm. The Smoky Mountain Central Railroad, one of the largest model train displays in the Midwest, will be enjoyed by all in The Depot. The railroad has been a part of the Fair since 1947. Fairgoers to the 2018 Clay County Fair will have more than 30 new foods to try during their visit Sept. 8-16, including five that have been named as finalists for the third edition of the “The World’s Greatest County Fair Food” Contest. Pickle Popper (TnT Concessions) – A whole dill pickle cut in two then stuffed with cream cheese, shredded cheese, bacon, jalapenos and mandarin oranges. Finally, dipped in a batter and deep fried. Barnyard Burger (Spencer Jaycees) – Comprised of a tender chicken breast, a juicy 1/3 lb hamburger, and a succulent pork loin all layered with 3 different cheeses of your choice (Swiss, American, and/or pepper jack). Fairgoers can also choose to add extra toppings such as, jalapeños, sautéed onions, and mushrooms. Spudnater (Wyman’s Spudnuts) – A chocolate glazed donut coated with a chocolate frosting, topped with mini chocolate chips, and drizzled with a chocolate ganache. Tiny Tators (Eat It) – Tiny whole potatoes boiled and fried, then covered in a buttery garlic ranch sauce and topped with parmesan cheese. Smoked Mac-N-Cheese (Gobblestop Turkey Shop, LLC) – Creamy, cheesy mac n cheese smoked to perfection and served hot and ready. An added category this year is a “People’s Choice” Award. 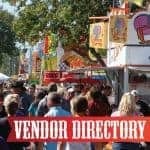 Fairgoers can sample the five finalists and cast their vote at any of the Fair’s information booths from Saturday, Sept. 8 – Tuesday, Sept. 11. The winner will be announced on Wednesday, Sept. 12 during the Fair. 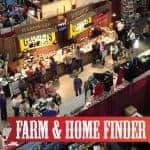 The Fair has made it easier to find your favorite food by using the Food Finder at claycountyfair.com. 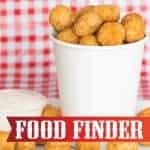 The food finder allows you to search and locate your old and new favorite foods. An evening of PRCA Rodeo, as well as many other equine events, will be the featured attractions at the Outdoor Arena during the 2018 Clay County Fair, Sept. 8-16. The PRCA Rodeo, presented by Barnes Rodeo Company, will take place on Sunday, Sept. 9 at 6:30pm. The full rodeo replaces the previously announced CCF Bull Riding Challenge. The Outdoor Arena will host daily open class horse shows, as well as 4-H and FFA horse shows. Open class (Paint, Appaloosa, Quarter, Pony Halter and Performance) shows will be Sept. 8-10 before the start of the 4-H and FFA shows on Sept. 11-13. The second weekend of the Fair, Sept. 15-16, will feature both big and little horses in several open class divisions, including pony and miniature halter; miniature, pony and draft driving; and the North American Cart and Six-Horse Hitch Classic Series. 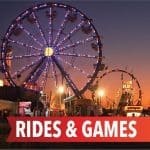 The North American Cart and Six-Horse Hitches will draw a large number of fairgoers on the last Saturday (Sept. 15) and Sunday (Sept. 16) of the Fair. The show will feature a $1,000 prize for the winning hitch both days. New in 2018, the hitch classes will begin at 12:00pm (Noon) giving attendees two full afternoons to watch horses and hitches. Besides daily horse shows, special events will also take over the Outdoor Arena. NBHA Barrel Racing will begin at 6:00pm on Saturday Sept. 8. This event will have cowgirls from across the upper Midwest competing for the title and $1,500 in added money. Another show that will take center stage at the Outdoor Arena will be Cowboy Mounted Shooting, on Friday, Sept. 14 at 6:30pm. This event includes a time obstacle course in which riders and horses will go through as quickly as possible while shooting at balloons that are placed on top of stakes. The day (Sept. 14) begins with another Fair favorite, Team Roping, at 11:00am. The last Saturday of the Fair, Sept. 16, the Outdoor Arena will host the Ranch Rodeo which includes various ranch style activities, such as roping a calf, sorting cattle, and milking a wild cow. This event will begin at 6:00pm.